Esplanade – Theatres on the Bay is celebrating this year’s mid-autumn festival through an array of traditional Chinese arts performances that are inspired by stories of legendary figures such as Ji Gong, the Living Buddha; Romance of the Three Kingdoms; The Creation of Gods, and Journey to the West. 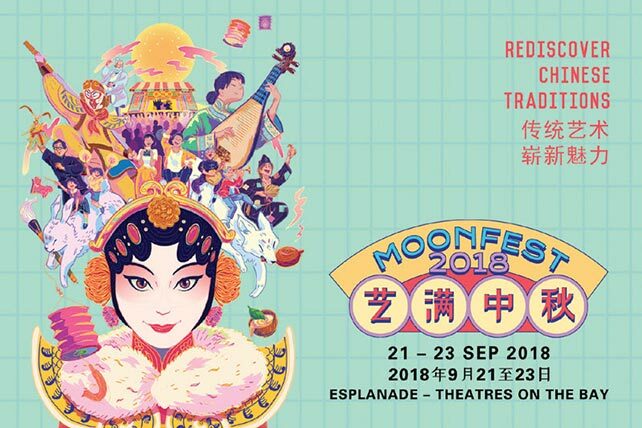 Taking place from 21 – 23 September 2018, the 14th edition of Moonfest – A Mid-Autumn Celebration will also feature more than 60 free programmes suitable for the young and the young at heart. These include traditional street opera performances at the Moonfest Chinese Opera Stage along the waterfront; talks, traditional and contemporary performances at the Moonfest Tea Room; storytelling and craft activities for children at PIP’s PLAYbox, as well as the popular Lantern Walkabout.